Located within the Oatland Island Wildlife Center in Savannah, Ga. These listings are limited to CEBA members only, but this does not imply endorsement or responsibility for their actions by CEBA. These listings are limited to CEBA members only, but this does not imply endorsement by CEBA. One classified per member. Classified specifications: 100-word maximum written in a paragraph. May include email or website links. No images. Please proofread your submission carefully because the editor will copy and paste your submission. Classifieds expire after six months. To submit a classified, email text and member name to ceba.oiwc@gmail.com. 2019 five-frame bee colonies for sale, $165. For CEBA members only: there are a limited number of $155 colonies for delivery at CEBA Monday night meetings in March and May. Vick's Bees are taken from feral stock and selectively bred for more than ten years. They are kept on natural call frames and fully regressed. Stan keeps an isolated apiary, one that is never treated, so he can select larvae for natural queen production. The bees have been treated for mites with OAV (an organic compound) once per year when broodless. If you have standard cell equipment, these disease-resistent bees will do fine. After the bees have been delivered, feel free to call if you have questions. Stan Vick, 4073 Country Line Road, Hinesville, Ga. 912-463-3048. Are you sure the insects are honey bees? Where are the bees located? Are they in a cluster on the side of a tree or building or car? 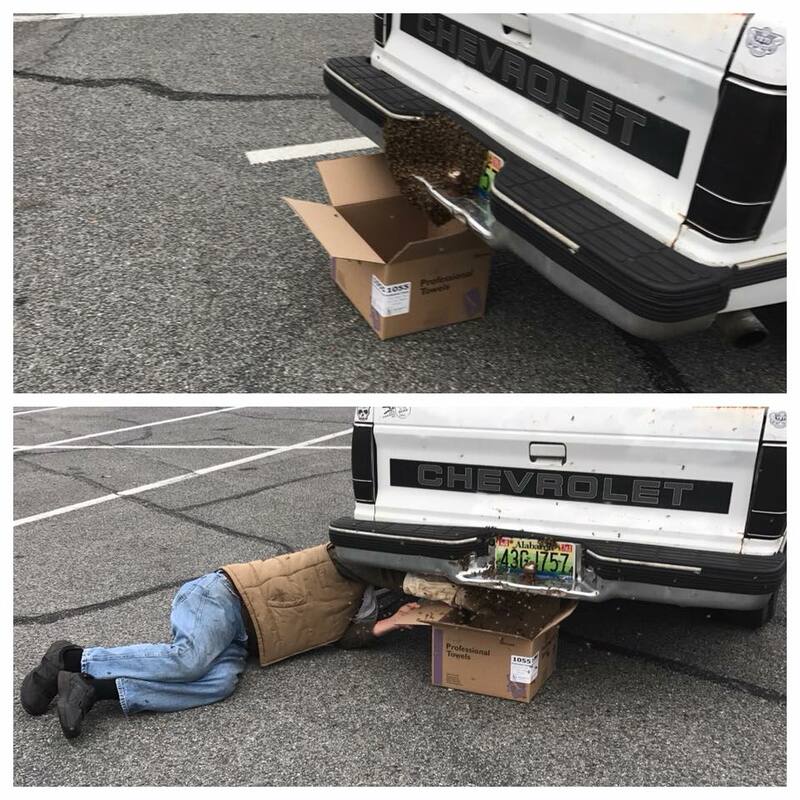 This is often a free, simple bee swarm removal. Are they flying in and out of a hole in a building and appear to have been doing so for some time? Bees that are living inside a structure often require construction work to remove them and prevent them from returning to the space - thus a fee is usually involved. How high off the ground is the swarm? The higher the swarm, the more complicated the removal process. Do you own the property where the bees are? Beekeepers use the term swarm when a queen and a colony of bees leave their existing home to find a new home. The queen will often land somewhere to rest nearby. The bees cluster around her to protect her as other bees fly off to find potential new homes. This is a temporary situation. Depending on the weather, the queen and the bees will move on to a new home within a day or two. The following CEBA members are available to remove simple bee swarms for free. If you call one of these beekeepers and leave a message and don't receive a call back within 30 minutes, please feel free to call another beekeeper. - Mary Ann and Thomas Lynah, 912-661-2982. Montgomery, Pinpoint, Skidaway Is., Whitefield Ave. Available: Most of the time. - David Strickland, 912-604-8908. Tybee and the Islands. Available: Anytime. - Nick Powell, 407-766-9285. Islands/Savannah. Available: Sundays, Mondays, Fridays and Saturdays. - Jeremy Herrington, 912-210-1421. Landings, Burnside Island, Montgomery area, Halcyon Bluff, Oakdale/Kensington neighborhood and Wheaton Street area. Available: Weekday evenings and all weekend. - Jim Stevens, 912-547-7338. Savannah Airport, Pooler, Garden City, West Chatham. Available: Monday-Saturday. - Steve Salter, 912-596-2431. Tybee Island or Savannah. Available: Monday-Sunday. - Matt Ownbey, 770-598-9878. Richmond Hill, Midway. Available: Any time. - James McGaw, 706-449-1809, Montgomery area of Savannah. Available: Any time. - Todd Foster, 912-713-0230. Islands around Wilmington, Talahi, Whitemarsh and Thunderbolt areas. Available: Any time. - Karen Palmer, 912-678-2144. Savannah, Statesboro, Swainsboro, Sandersville, Milledgeville areas. Available: Any time. - Katie Wigley, 912-844-1520. Pooler/Bloomingdale/West Chatham/Effingham areas. Available: Any time. - Carlton Parker, 912-695-5747. Savannah /Chatham. Available: Any time. - Randall Fones, 912-282-1180, County Coverage: Ware, Wayne, Brantley, Pierce, Camden & Glynn. Available: Any time. 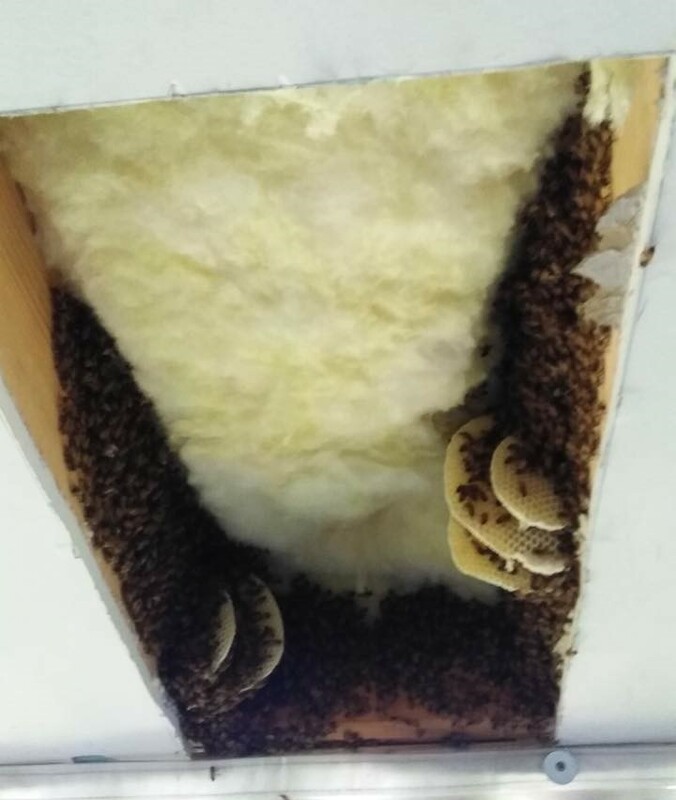 Bees that are living inside a structure often require construction work to remove them and prevent them from returning to the space, so a fee is usually charged for this kind of removal service. The following beekeepers are available for these more complicated removals. - Harold Ward, Home: 912-728-4101. Cell: 912-663-6375. Rescuing honey bees since 1975 from airplanes, buildings, RVs, trees, trains and ships. Available: Anytime. 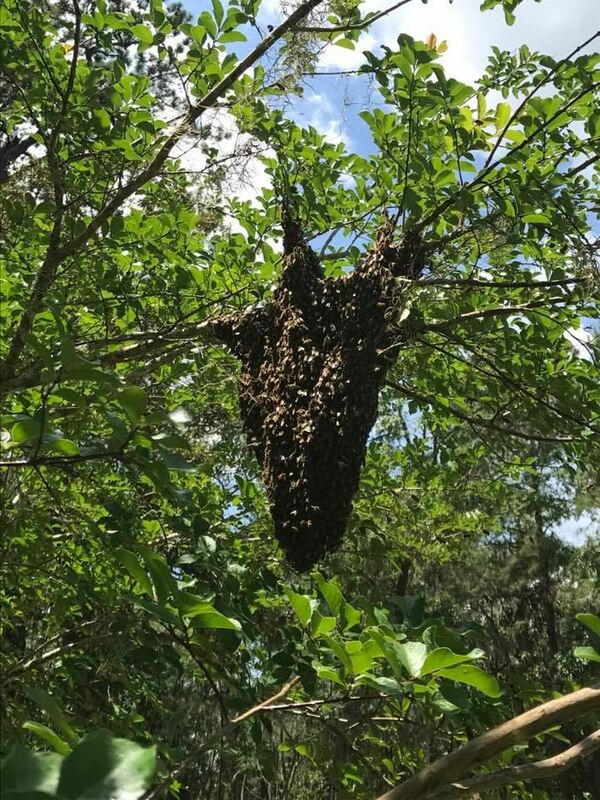 - Karen Palmer, 912-678-2144. savannahbeeremoval.com. Savannah, Hilton Head, Statesboro, Dublin, Sandersville, Milledgeville, Macon areas. Available: Any time.